You will begin your tour to Mendoza taking off from the Bs As airport. Once you land in Mendoza a tourist guide from 01argentina will be waiting for you with a sign with your last name to transfer you to your Hotel. After resting for a while we will pick you up in your hotel to invite you on a city tour in Mendoza: "The land of sun and good wine". 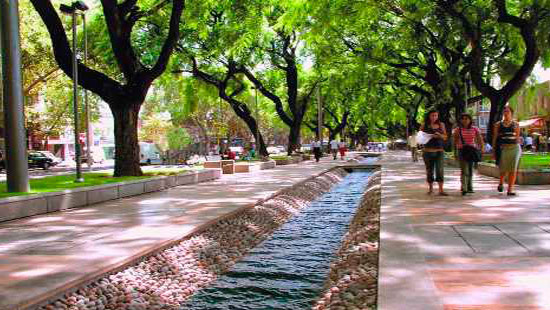 During this sightseeing in Mendoza you will get to discover a modern city, with tree-lined streets and clean, wide sidewalks. You will also learn about its history and culture, since its foundation four centuries ago. The Mendoza city tour includes visits to the administrative, civic, commercial, cultural, historical and recreational centers. You will also visit the Foundation area, Residential Zones and San Martin Park including Cerro de la Gloria, where you will have an incredible panoramic view of all of Mendoza city. Breakfast in the Hotel and departure to take the "High Mountain" full day tour: You will take Route N° 7 in order to view incredible landscapes such as the mythic mountains that raise their summit to the stars, while their shadows are projected across the desert to the ocean. 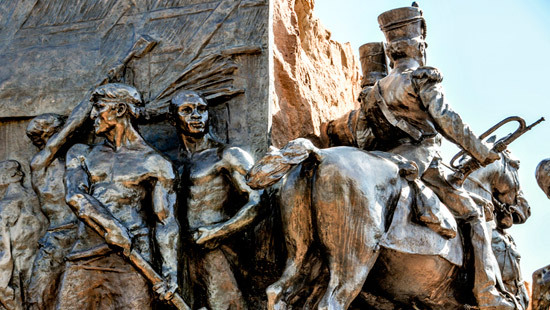 Mendoza is the scene of uncommon stories; of great acts of courage and heroism. It is also the discoverer of vanities and fears, however. In this hard environment a man displays himself as he is. During the tour High Mountain in Mendoza, you will first visit Potrerillos (a small mountain town), afterwards continuing on towards several other small mountain towns like Uspallata, Polvaredas, Punta de Vacas, Penitentes, and finally reaching up to Puente del Inca, a place filled with natural but strange formations from the thermal waters. Later we will see The Aconcagua Mountain, which is the highest mountain in the Americas. Following Route N°7 we will arrive at the last town in Argentina, Las Cuevas, located just before the Chilean border. If the climate and the route conditions are good, we will continue through a secondary route to El Cristo Redentor, or Christ the Redeemer - a very important monument to see. Afterwards you will return to the Hotel in Mendoza. 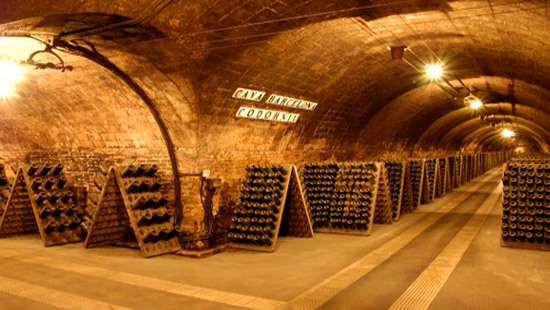 Breakfast in the Hotel and a half day tour to visit the Wineries and Vineyards in Mendoza. 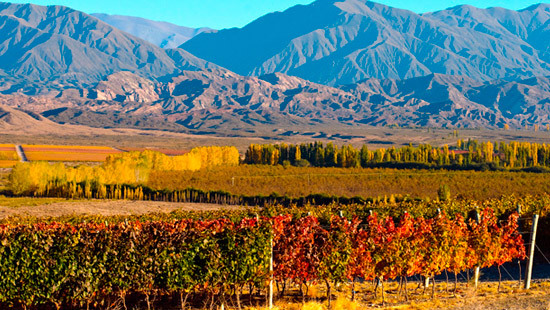 On this tour you will learn about how Argentina became the main wine producer in the world. 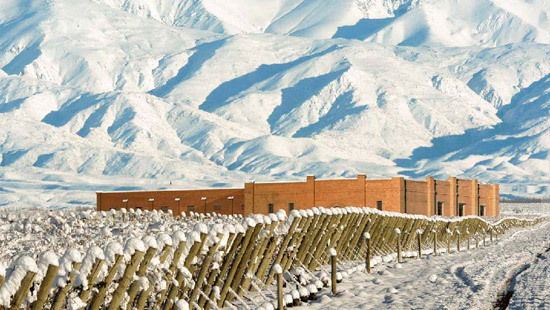 Your visit includes 2 Wineries in which expert enologists will explain the elaboration process and will invite you to taste Argentinean wines. After the tour, you will return to the Hotel in Mendoza. Breakfast. Transfer to the airport. Return to Buenos Aires. End of the Mendoza tour. 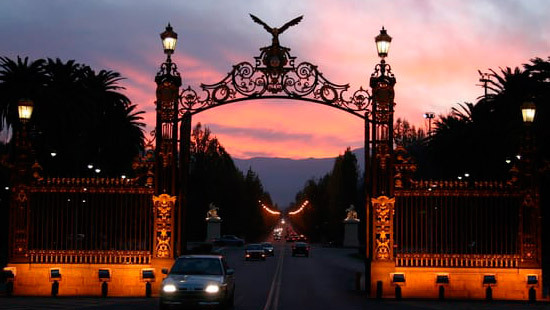 Transfers in - out of Airport- Hotel in Mendoza city. High Mountains Tour (This does not include Lunch service). Breakfast in a hotel in Mendoza city. 3 hotel nights in Mendoza city. This trip can be tailor-made for a time to suit you and can be adapted to suit your interests, budget and requirements as necessary.